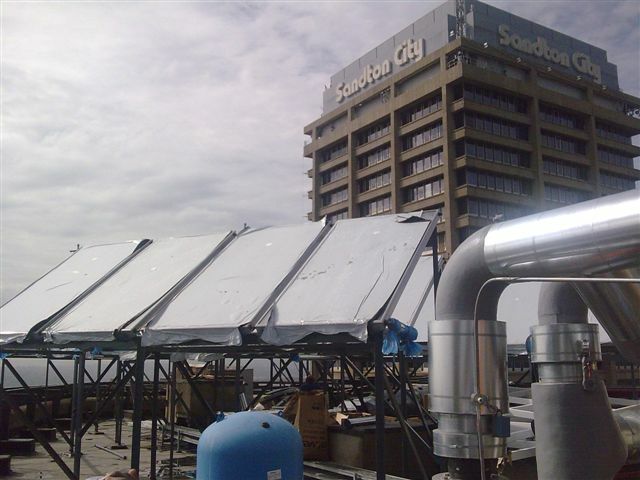 Few days ago I visited the installation site of 117 solar water heaters on the roof of the Legacy hotel in Sandton. The Israeli-South African company Kayema installed equipment of the Israeli company Rand and has shown to everybody that it is possible! The Legacy hotel (still under construction) would be able to save about 16% of its energy costs. Full article.